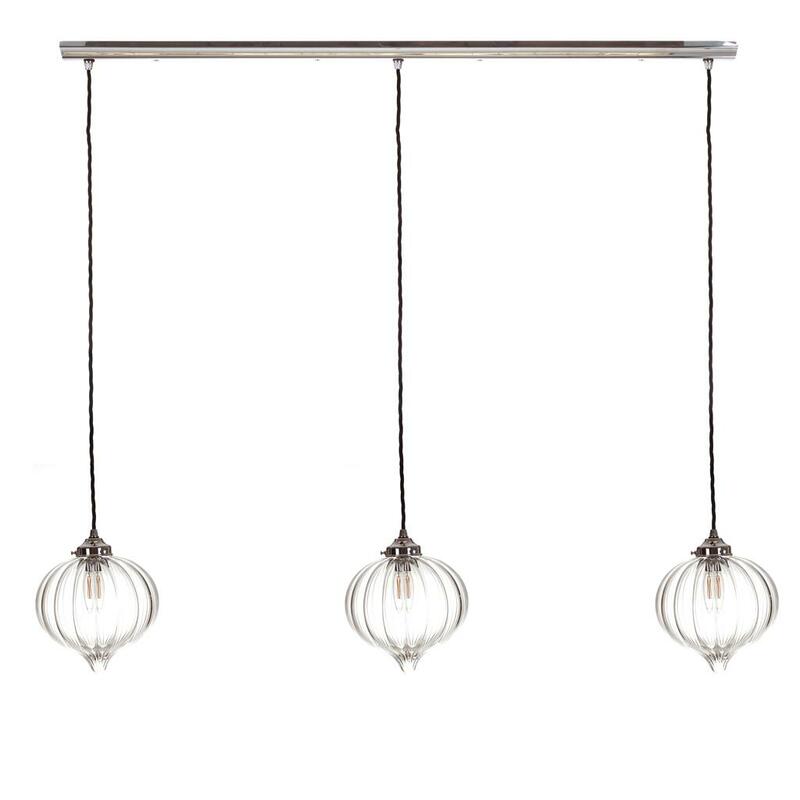 A stunning, handcrafted triple pendant light with individually hand made glass shades. 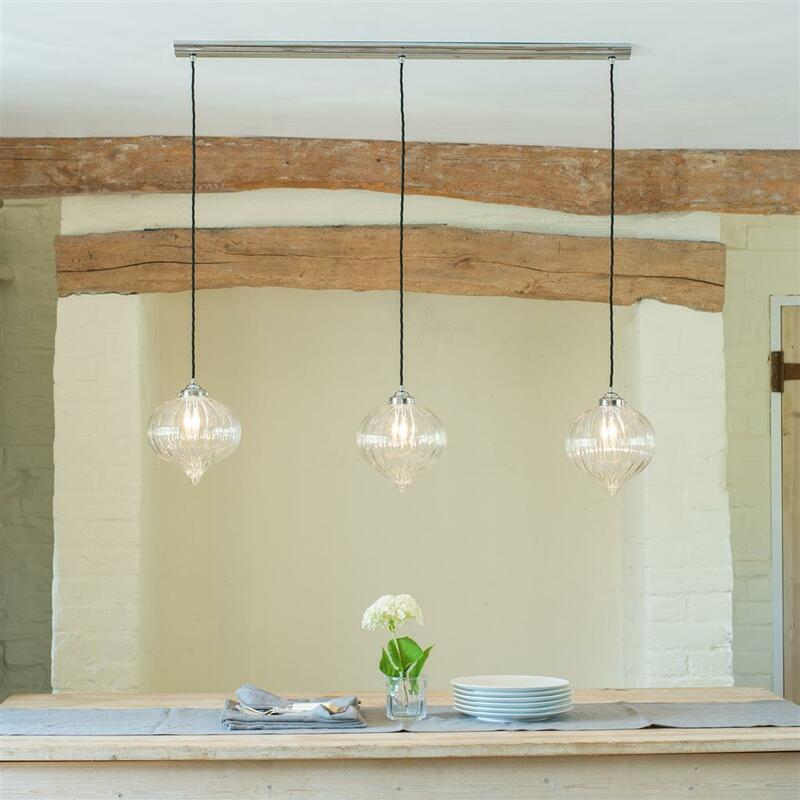 The curvy lines of our beautiful Ava Pendant Light are in triplicate on this clever light which works from a single ceiling fixing. 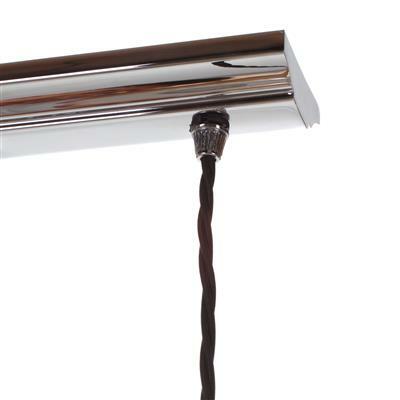 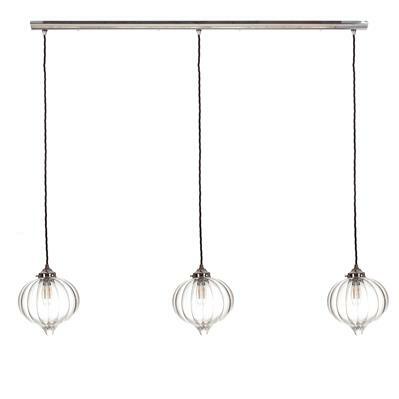 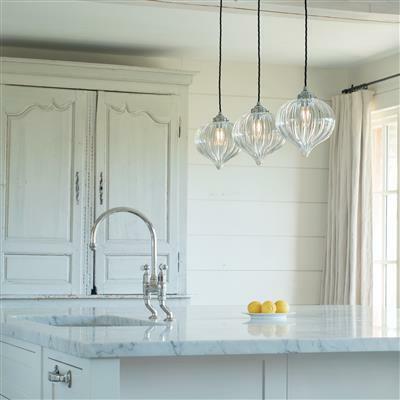 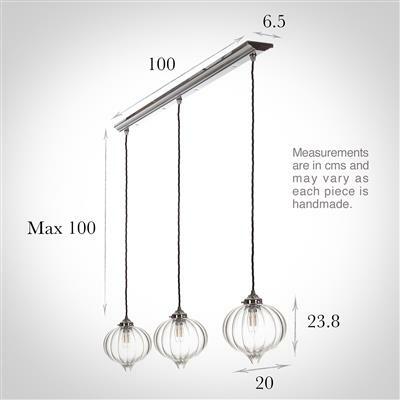 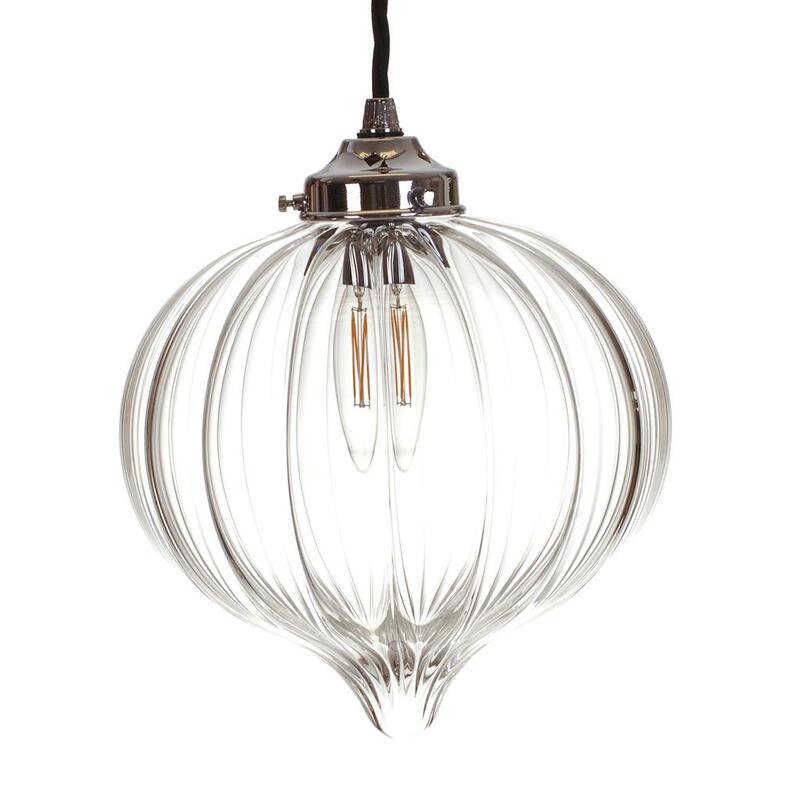 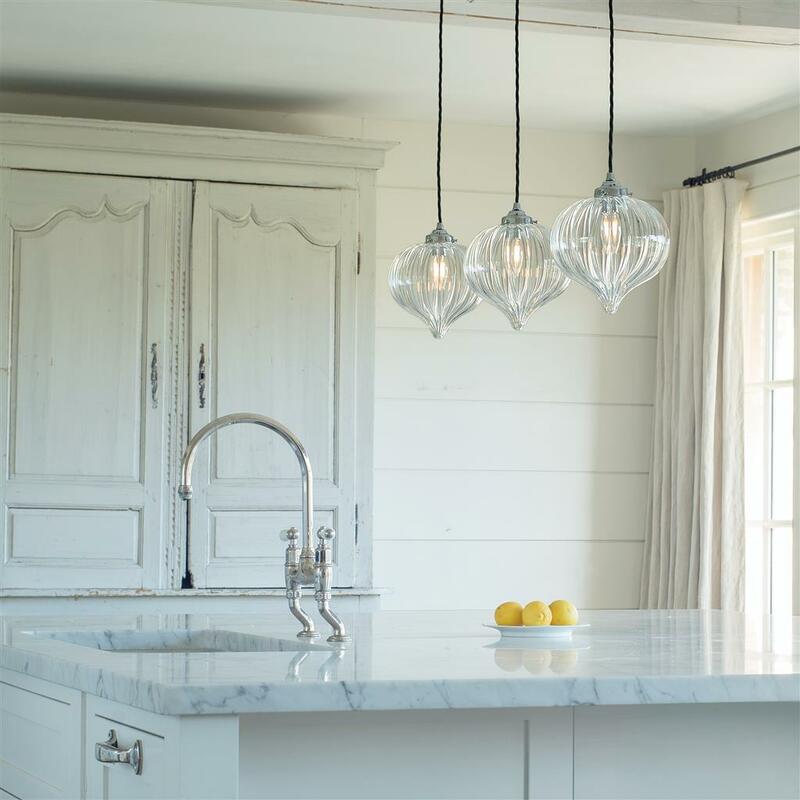 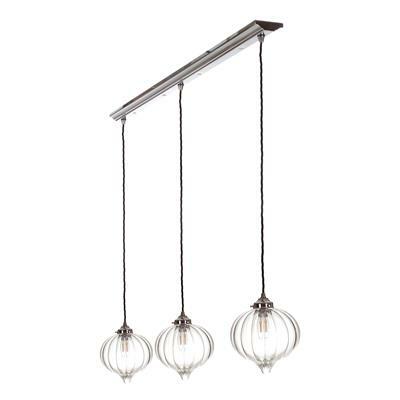 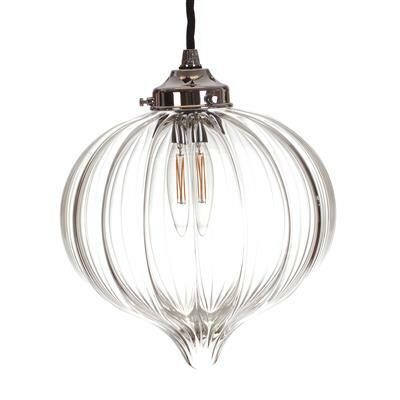 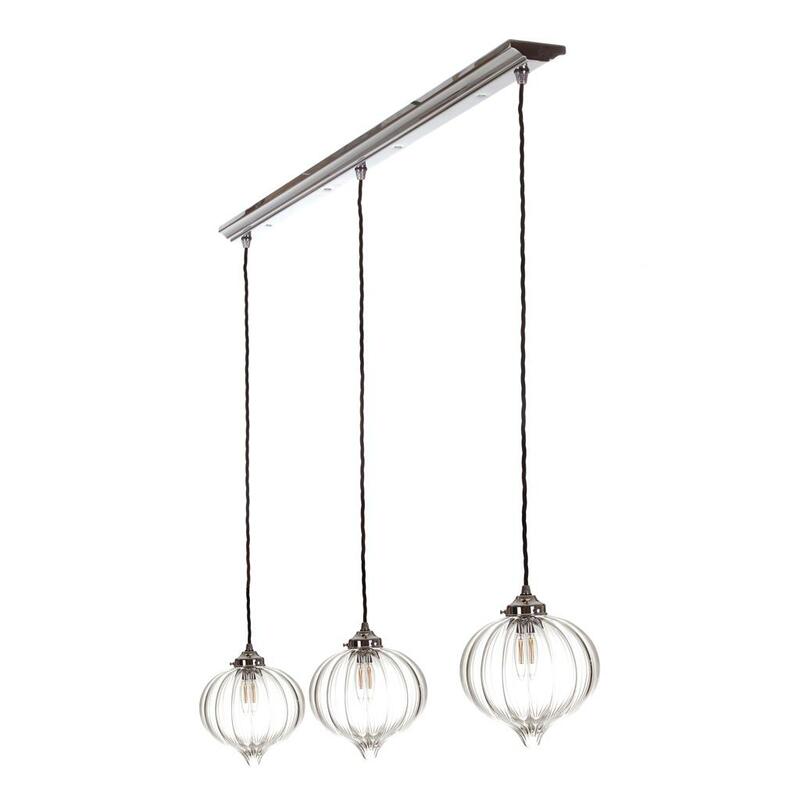 This three light pendant would be the perfect enhancement over a kitchen island or dining table. This pendant light hangs from a 1m track which is screwed to the ceiling and requires one set of cables for the whole light. 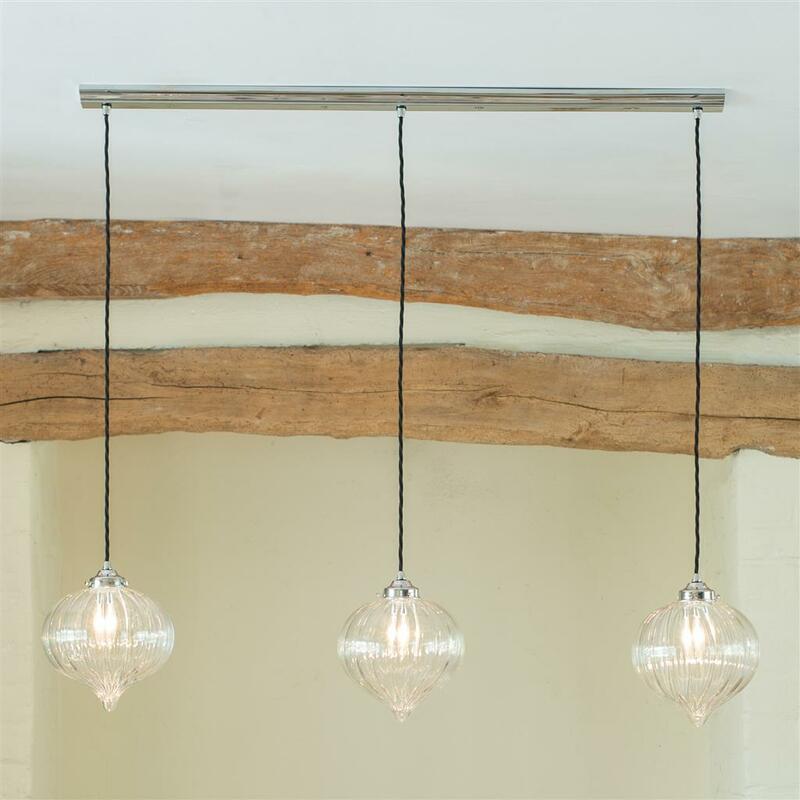 Made from natural brass which is then nickel plated for a beautifully reflective finish.